This dialogue solely admits technical comments expressed in due scientific language without any record of their originators. Comments may be edited for their reduction to essential points. We discourage the submission of arrogant or offensive comments. The editorial rules of this Dialogue are those adopted by Wikipedia. Fermi's neutrino or Santilli's etherino? The etherino and/or the Neutrino Hypothesis? By using a language as accessible to as broad an audience as possible, in this paper we identify serious insufficiencies of the neutrino and quark hypothesis for the synthesis of the neutrons from protons and electrons inside stars. We introduce, apparently for the first time, the hypothesis that the energy of 0.782 MeV and spin 1/2 needed for the synthesis of the neutron originate either from the environment or from the ether conceived as a universal medium with very high energy density via an entity here called etherino, denoted with the letter "a" (from the Latin aether), according to the synthesis p + a + e -> n, and show the compatibility of the etherino hypothesis with available neutrino experiments. We review the new structure model of the neutron and hadrons at large with massive physical constituents produced free in the spontaneous decays as permitted by the covering hadronic mechanics. We show its compatibility with the standard model when interpreted as only providing the final Mendeleev-type classification of hadrons. Finally, we conclude with the proposal of new experiments suggested for the much-needed search of new clean energies that are permitted by the etherino hypothesis, but prohibited by the neutrino hypothesis. The above paper contains additional comments on the neutrino or etherino alternative. "An introduction to the new sciences for a new era"
1. 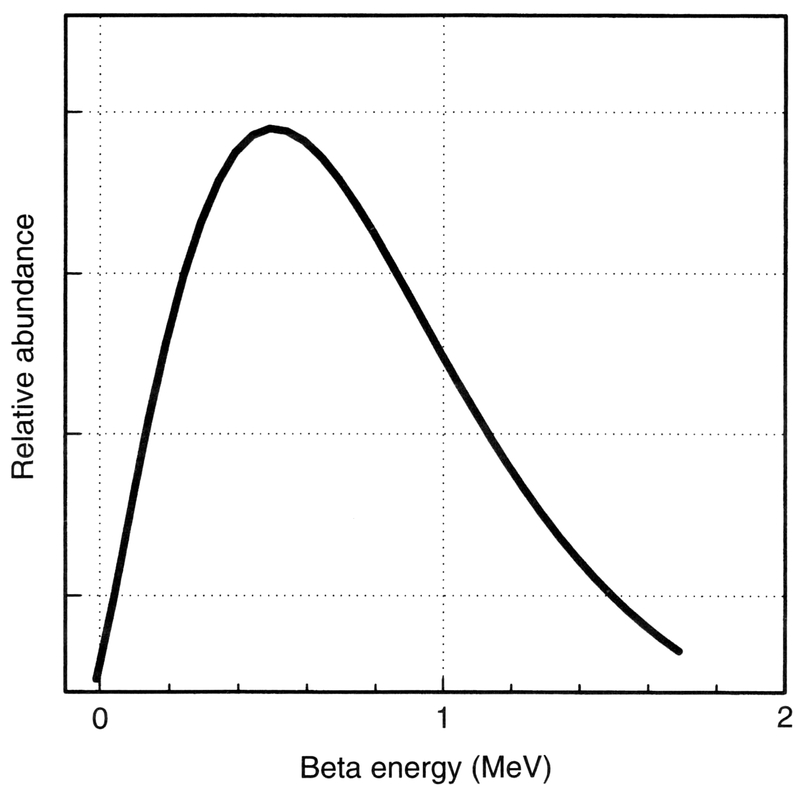 Insufficiencies of the neutrino hypothesis. Unfortunately, there exist numerous insufficiencies afflicting the original Pauli-Fermi hypothesis of the emissionof the massless and changeless neutrino ν in the synthesis of the neutron "n" from the proton "p" and the electron "e"
Consequently, Pauli and Fermi did salvage the conservation of the angular momentum, but they did not salvage quantum mechanics since the Schroedinger equation solely admits bound states with a negative binding energy, resulting in the known mass defect. By contrast, the neutron synthesis requires a positive binding energy resulting in a mass excess, under which conditions most of 20th century physics is inapplicable. But, then how do you handle the neutrino hypothesis without any underlying quantitative science ? [A]. ZeusSon. Stars initiate their lives as an aggregate of hydrogen atoms. Without neutrons, there are no nuclear fusions. Following the achievement of the needed temperature and pressure via the accretion of hydrogen available in interstellar spaces, stars start to synthesize neutrons at the rate of 1050 neutrons per seconds or more. In the event the missing energy is provided by stars, they would never produce energy since they would cool down at the rate of 1050 MeV/seor more [A]. ZeusSon. Unfortunately, this is not a sound basis for rejection because the standard model is afflicted by serious insufficiencies. The most serious insufficiency is the intent of representing with one single model the classification of particles into families as well as the structure of all individual particles of a given family, which is the same as trying to work out the structure of atoms with the same Mendeleev-model of their classification [A3a] (see [B44] for a link to the pdf). ZeusSon. Unfortunately, the opposite is true because of the loss of credibility in expanding the original Pauli-Fermi hypothesis of a massless neutrino into a number of massive particles that simply cannot cross entire planets with no appreciable scattering [A] ZeusSon. Such a view is not scientific because it implies that at the time of the neutron synthesis, the permanently stable proton and electron "disappear" from the universe to be mysteriously replaced by the hypothetical and unboundable quarks and at the time of the neutron decay, the hypothetical quarks "disappear" from the universe to be replaced by the original proton and electron [A]. ZeusSon. The Italian Government halted neutrino experiments at the Gran Sasso National Laboratory because of the extreme paucity of detection compared to the disproportionate number of predicted events. For instance, the neutrino hypothesis predicts that we are hit by trillions of solar neutrinos per square centimeter per second. The number of detected neutrinos is in comparison so small to admit statistical fluctuations as the most probable interpretation, and in any case, justifies fully alternative interpretation, such as that via Santilli etherino. Your view becomes credible if and only if you provide a quantitative (that is, numerical following equations) representation of all characteristics of the neutron in its synthesis from the proton and the electron in the core of stars. Santilli spent decades of failed attempts of such a representation via quantum mechanics and, at the end, he had to give up and seek new methods. ZeusSon. 3. Iso-, geno- and hyper-mathematics. 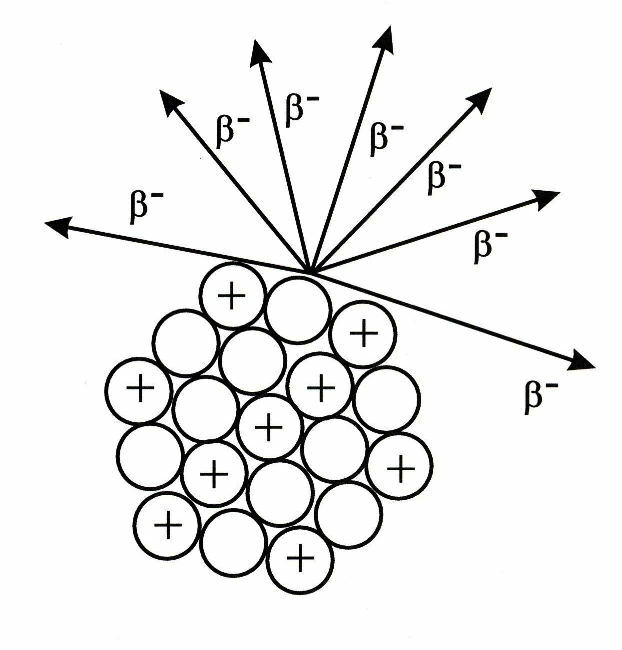 readily allows the needed representation of the shape, dimensions and density of particle, where a, b, c (normalized to the values a = b = c = 1 for the sphere) represent the shape and dimension of the proton (here assumed to be a spheroid charge distribution with semiaxes a, b, c), while the particle density is represented (for the first time in scientific history with d (also normalized to the value d = 1 for the vacuum) [[B7]. that verify the axioms of a field, n' being <1m> Santilli isoreal, isocomplex and isoquaternionic isonumbers [B8]. You are correct in stating that q-deformations (those with product AB - qBA) and similar theories have no physical value because they violate causality due to the non-unitarity of their time evolution. By contrast, Santilli isomechanics is isounitary, that is, it verifies unitarity on the appropriate iso-Hilbert space over isofields. In the event you had any knowledge of the isotopies you would not have expressed your view as stated. TritonSon. 4. Iso-, geno-, and hyper-mechanics and chemistry. where the n-characteristic quantities are assumed to contain the multiplicative exponential term of Eq. (5), under the condition that U → 1 at mutual distances much bigger than one Fermi. Note that the above realization will change from case to case. by achieving in this way the background iso-Hilbert space over isofields. Lack of application of the above non-unitary transform to one single quantity of the Hilbert space formalism implies insidious inconsistencies that generally remain undetected by non-initiated colleagues. The above isoprinciple characterizes a new renormalization of the rest energy of particles when immersed within hyperdense media, called isorenormalization, first introduced by Santilli in Ref. 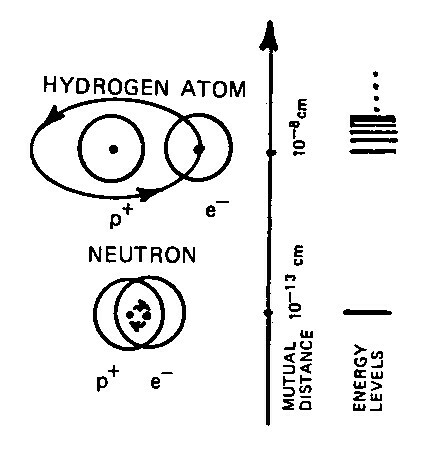 [B6] of 1978, with fundamental implications for all of particle physics because it implies that the rest energy of a particle within a hyperdense medium is different than the rest energy of the same particle when isolated in vacuum. For details, see the second volume of the1991 monographs http://www.santilli-foundation.org/docs/Santilli-61.pdf, the 2007 five volumes http://www.i-b-r.org/Hadronic-Mechanics.htm(with a fifty page bibliography in Vol. 1), the World Lecture Series http://www.world-lecture-series.org/and references quoted therein. ZeusSon. But then, the Lorentz-Santilli isosymmetry constitutes also the universal invariance of all possible Riemannian metrics? (See also in this website the preceding debate on Einstein gravitation). 5. 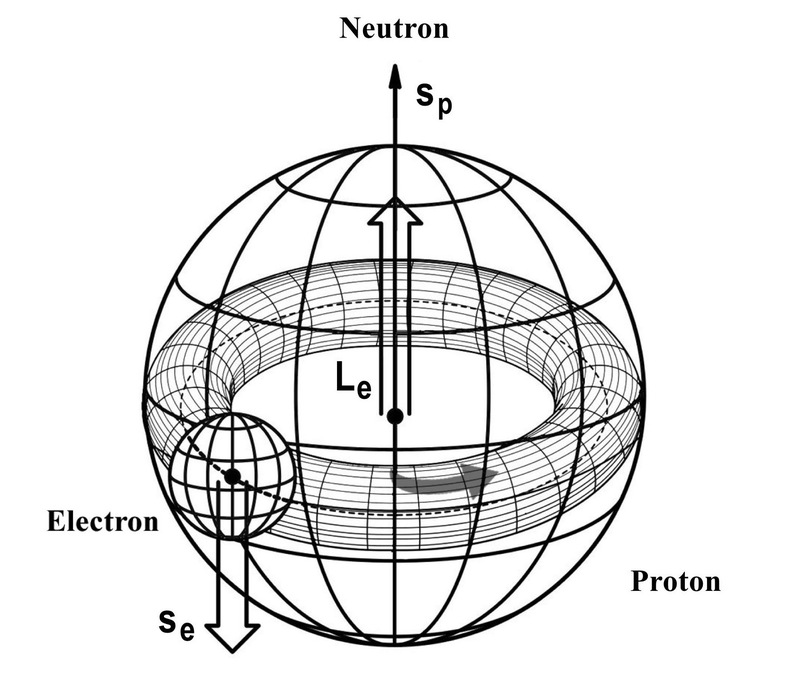 Representation of the neutron rest energy, mean life and charge radius. where ψ is the wavefunction thereof ground state of then hydrogen atom and ψ' is that of the neutron. where one recognizes the Hulten potential which behaves at short distances like the Coulomb potential, thus absorbing the latter via a mere change of the constant N. as it is well known, Eq. (20_ admits the typical finite spectrum of energy E (see Ref. [B6] for a detailed study of Eq. (20). See Eqs. (2.15) of the 1990 paper http://www.santilli-foundation.org/docs/Santilli-21.pdf and reviews [B27-B30]. I am glad you noted that, but I am sorry to see that you continue to think in terms of 20th century physics. By their very definition, contact interactions are non-Hamiltonian, that is, they have no potential energy. Therefore, the consistency of Santilli representation of the rest energy, mean life and charge radius of the neutron is given precisely by the value E - 0. In any case, any value E &ne; 0 would imply excited states of the neutron that do not exist in nature. JupiterSon. You cannot see it because you do not know Santilli's experiments on the isoredshift of light whose energy E = hν has been experimentally established to decrease (increase) for light propagating within media at low (high) temperature, see the experimental collaboration http://www.santilli-foundation.org/docs/IRS-confirmations-212.pdf and vast preceding literature quoted therein. If E = h&nu; changes for light in interior conditions, the corresponding change for the rest energy of particle seems to be quite evident. AbraDabra. 6. 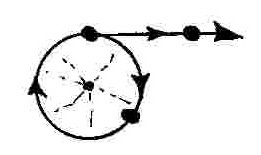 Representation of the neutron spin and magnetic moment. In Eqs. (2.39) - (2.41) of paper [B18] http://www.santilli-foundation.org/docs/Santilli-21.pdf Santilli achieved the first and only known additional representation of the anomalous magnetic moment of the neutron, thanks precisely to the orbital angular momentum of the isoelectron when compressed inside the proton. Its elementary magnetic contribution permits the numerically exact representation of the anomalous magnetic moment of the neutron. ZeusSon. The photon is a transverse wave (the oscillations of the ether are perpendicular to the direction of propagation), while the etherino is a longitudinal wave (the oscillations of the ether are in the direction of propagation). JupiterSon. where the original excess energy of 0.782 MeV is distributed between the etherino and the electron depending on the local conditions. JupiterSon. The replacement of ν with a, but careful, because the etherino must be placed in the l.h.s of the reactions when dealinge with electron capture, e.g. But then the replacement of neutrinos with etherinos is pure nomenclature Triton. The etherino hypothesis implies the return to the continuous creation in the universe, the existence of new superluminal communications, and the restriction of the standard model to sole classification. Do you need more? JupiterSon. What type of superluminal communications are you referring to? XZeus. Longitudinal waves are predicted to propagate in the ether at millions of times the speed of light. ZeusSon. Again, your mind is frozen in 20th century physics of isolated point particles in empty space, in which case your view is correct, but for Santilli's etherino you have to think at massless radiations propagating within a hyperdense medium. In the former case you have Maxwell's equations on a Minkowski space. In the latter case you have the iso-Maxwell's equations within Minkowski-Santilli isospace which do indeed admit longitudinal solutions. JupiterSon. No. I disagree. The neutrino hypothesis prevents any possible representation of the neutron synthesis from the hydrogen. To be credible, Oppog46f\ should show his claim with equations. TritonSon. OK, but then you have to resolve the scientific theologies identified in Comments 1, such as the conversion of the permanently stable protons and electrons into the hypothetical and unboundable quarks, etc. ZeusSon. EDITORIAL NOTE: We have consulted on the matter Prof. Santilli (Email: research(at)thunder-energies(dot)com) who released the following statement: At the time of writing paper HJ- Vol. 13, p. 513, 1990, I was fully convinced on the lack of existence of the neutrino as a physical particle, and I communicated such a view prior to 1990 to colleagues founders of hadronic mechanics, such as Prof. Tepper Gill from Howard University, U.S.A, the late Prof. Gregarious Tsagas, Thessaloniki University, Greece, and others. I wrote said paper by keeping the neutrino because of respect for my best teacher, Enrico Fermi. In any case, the representation of all characteristics of the neutron from a proton and an electron presented in said paper clearly shows the lack of need for the neutrino. Ruggero M. Santilli. EDITORIAL NOTE: We have consulted the authors of Ref. [B] and they stated that the experimental confirmation of the synthesis of neutrons from a hydrogen gas cannot resolve the problem of the existence or lack of existence of neutrinos since the latter problem solely emerge in the theoretical representation of the neutron synthesis. 8. Implications of the Lorentz Problem and of the Poincare' Hypothesis for the reduction of all stable matter in the universe to protons and electrons in condition of increasing complexity. Q. Question for Prof. Santilli: Please review the "Lorentz Problem" and its implication for the neutrinos. A. We have passed the above question to Prof. Santilli and this is his answer: "Thank you for such fundamental questions! The Lorentz Problem consists in the achievement of the invariance of locally varying speeds of light within transparent physical media, C = c/n, where "n" is the familiar index of refraction possessing a complex, generally non-linear, functional dependence on local coordinates, density, temperature and other physical quantities. Lorentz tried to achieve said invariance but failed and was forced to restrict his goal to the invariance of the "constant" sped in vacuum, "c," by writing one of the most important pages of scientific history. The reason for Lorentz inability to achieve the invariance of C -= c/n is that Lie's theory is solely applies to electromagnetic waves and point-particles propagating in vacuum under linear and Hamiltonian interactions (exterior dynamical problems(, while the problem considered deals with electromagnetic waves and extended particles propagating within physical media under conventional plus restive nonlinear and non0Hamiltonian interactions (interior dynamical problem). I did solve the Lorentz Problem in the 1983 Letter but only following a decade of prior studies in the generalization of Lie's theory into a form applicable to interior dynamical systems, nowadays known as the Lie-Santilli isotheory, see the monographs published by Springer-Verlag that I wrote in 1978 when I was at Harvard University, Volume I and Volume II and the recent paper. The resulting covering symmetry, today called the Lorentz-Santilli isosymmetry, is rudimentary outlined in Section 4 of this Debate, see also the recent general review. After studying the issue for about four decades, I believe that the implications of the Lorentz Problem for the existence of neutrinos are rather serious. Stated in a nutshell, I believe that the invariance of the locally varying speeds of light implies the impossibility to include the neutrino in the neutron synthesis from the hydrogen. More specifically, when the proton and the electron are considered as point-particles, the Lorentz symmetry is exact, and Fermi;'s neutrino hypothesis is unavoidable. By contrast,, when the proton is represented as it is in the physical reality, that is, as an extended with a hyperdense medium in its interior, the electron can indeed be compressed inside the proton as first conceived by Rutherford, the Lorentz symmetry is inapplicable (and certainly not violated) in favor of the covering Lorentz-Santilli isosymmetry, and the neutrino hypothesis has to be abandoned in favor of the etherino hypothesis, as discussed in this debate. I would appreciate the indication of alternative views based on first principles without the usual assumption of a plethora of additional hypothetical particles under which everything is evidently possible. Ruggero Maria Santilli, October 19, 2017. Email" research(at)thunder-energies(dot)com." 5) The impossibility of conceiving, let alone conducting an experimental on the constancy o the speed of light in water due to the absence of the "inertial" reference frames requested by the axioms of special relativity in view of the resistive forces; and other inconsistencies that are all resolved by isorelativity (se again general review.). 1. In 1974, when I was a member of the MIT Institute for Theoretical Physics, I wrote my first contribution to the Poincare' Hypothesis, consisting in the "identification" (rather than the failed "unification") of the exterior gravitational field of all masses with the electromagnetic field of the elementary charged constituents of matter in very high rotational conditions, see the 1974 MIT paper. Said identification is evident for the electron, but not so for neutral composite particles. Via the use of the best available quantum field theory with advanced and retarded potentials, I therefore proved that the 139.58 MeV.mass of the pi-zero meson can indeed be entirely due to the electromagnetic field caused by one electron and one positron in high rotational conditions, and extended the model to macroscopic neutral masses. In the same paper, I suggested to study the origin (rather than the "description") of the gravitational field, including a proposed experiment (nowadays feasible with neutron interferometry) essentially given by the creation of a measurable gravitational field via opposite charges in high rotation. I should indicate that the Poincare' Hypothesis implies a necessary revision of general relativity because Einstein's reduction of gravitation to pure curvature without sources becomes incompatible with quantum electrodynamics since the field equations require to be completed with a first order source in accordance with the forgotten Freud identity. The impossibility for a credible use of general relativity to dismiss the Poincare' Hypothesis is established by the impossibility for space to be actually curved since the "light bending" is due to the refraction of light in astrophysical chromospheres as established by experimental knowledge since Newton's time. These and numerous other structural insufficiencies of general relativity are discussed in the adjoining Debate on General Relativity. 2. In 1978, when I moved from MIT to Harvard University under DOE support, I wrote my second contribution to Poincare' Hypothesis by proving that the classical model of the pi-zero as a compressed positronium, 1974 MIT paper, was indeed confirmed at the operator level, see Section 5 of my 1978 Harvard paper.. The biggest difficulty in the transition from the classical to the operator level was the inapplicability of quantum mechanics because the mass of the pi-zero is about 138 MeV bigger than the sum of the rest masses of the assumed constituents, in which case the Schroedinger equation no longer admits physically meaningful solutions. The achievement of the model required the identification, first of a new mathematics, nowadays known as isomathematics and a covering of quantum mechanics, nowadays knows as the isomechanics, which is a division of hadronic mechanics. The generation of the mass excess in the bound states at chart distance is nowadays known as isorenormalization, that is, a renormalization of the intrinsic characteristics of particles caused by non-Hamiltonian interactions (see a rudimentary review in the above sections of this Debate). The important point is that, despite their embryonic character, the indicated new mathematics and mechanics allowed in Section 5 of the 1978 Harvard paper. to present a structure model representing all characteristics of the pi-zero and other mesons, including rest energy, charge radius, mean-life, spin, electric and magnetic moments, and spontaneous decays. The constituents are the physical particles produced in the spontaneous decays generally with the lowest mode. By comparison, the SU(3)-model of the time (and now the standard model) could only represent rest energies under the assumption of hypothetical constituents that cannot be detected by conception and cannot be truly bound inside mesons due to the uncertainty principle. 3. The proof of the Poincare' Hypothesis for composite particles with spin 1/2 or higher turned out to be rather complex because it required the study of the spin of extended particles when immersed within hyperdense media, thus under contact non-Hamiltonian interactions (see Comment 5 below on the impossibility of reducing the hyperdense particles to a collection of points particles moving in empty space). The biggest difficulty was caused by the Poincare' symmetry itself because said symmetry is exact for Keplerian structures, namely, system of point-like particles having a Keplerian nucleus around which all other masses rotate without collisions, contact interactions being impossible for points. Consequently, the Poincare' symmetry is exact for the atomic structure and equivalent systems (e.g., particles in accelerators). It is easy to prove that the Poincare' symmetry cannot be exact for the structure of hadrons, nuclei and stars (as well as for the high energy collisions at CERN) because these systems do not have a Keplerian center, besides admitting non-linear and non-Hamiltonian internal forces beyond the representational capability of Lie's theory. The inapplicability of special relativity for the structure of hadrons, nuclei and stars is then evident to serious scholars (only). At this point, the complementarity of the Lorentz Problem and the Poincare' Hypothesis emerged in its full force. In fact, the same generalization of Lie's theory necessary for the solution of the Lorentz Problem, the Lie-Santilli isotheory, turned out to be crucial for the identification of the covering of the Poincare' symmetry needed for hadrons, nuclei and stars. After decades of studies, I reached the solution in 1993 while visiting Moscow State University in a paper published by the Journal of the Moscow Physical Society, see the 1993 MSU paper, where I introduced a basically new spacetime symmetry, now called the Lorentz-Poincare'-Santilli (LPS) isosymmetry, After that, I plunged myself in the generalization of each and every aspect of the Poincare' symmetry all the way to its spinorial realization, see the general review and large literature quoted therein. The main problem was that a symmetry of an extended particle in interior conditions requires a metric with the most general known functional dependence on coordinates x, velocities v, accelerations a, wavefunction ψ etc., g - g(x, v, a, *psi;...) with inherent curvature for which no conventional symmetry is possible, as known since Einstein's times. The solution was to decompose said metric into the Minkowski metric m plus a non-singular factor T containing all functional dependence, g = Tm, and formulating the geometry on an isofield with generalized unit I = 1/T resulting in a new geometry locally isomorphic to the Minkowski geometry, see the paper on iso-Minkowski isogeometry. The construction of the needed covering of the Poincare' symmetry via the Lie-Santilli isotheory was trivial. To illustrate again the necessity of a revision of general relativity requested by the Poincare' Hypothesis, the new LPS isosymmetry constitutes the universal symmetry of all possible (non-singular) Riemannian line elements for the particular case when g = g(x). In addition to the revision of general relativity necessary to achieve compatibility with electromagnetism via the addition of a source first order in magnitude (Comment 1 above), there is the need for a revision of general relativity based on the replacement of the usual covariance (with inherent lack of invariance of numerical predictions over time) with a universal invariance assuring the invariance over time of numerical predictions. In turn, such an invariance is solely possible in a flat geometry such, thus confirming the experimental evidence on the lack of curvature of space due to the refraction of light in astrophysical chromospheres, see the adjoining Debate on General Relativity. When the hysteria caused by even touching Einstein's theories cools down, the solution of the rather long list of inconsistencies of general relativity boils down to the mere "reformulation" of the Einstein-Hilbert field equations on the iso-Minkowski geometry, because only following the abandonment of the curvature of space in favor of a suitable flat geometry, such as the iso-Minkowskian geometry, gravitation becomes compatible with special relativity, electromagnetism, quantum mechanics, grand unification and other 20th century sciences (see again the Debate on General Relativity)..
4. My last contribution to the Poincare' Hypothesis has been the representation of all characteristics of the neutron (and not only its rest energy as done by the standard model) as a generalized bound state under the LPS isosymmetry of one proton and one electron, by therefore reducing all matter in the universe to protons and electrons, I reached the non-relativistic solution while visiting, 1892 ICTP paper. I then reached the relativistic solution a year later immediately following the achievement of the LPS isosymmetry while visiting the JINR in Dubna, Russia, see the JINR Communication No. E4-93-252 (1993), subsequently published in China, see the 1995 China paper. Non-expert in these new sciences are suggested, for their own protection, to use scientific caution recommendable under lack of technical knowledge of the field, because for instance, the names "proton" and "electron" lose their conventional meaning under the LPS isosymmetry to be replaced by mutated particles called isoprotons and isoelectrons. The biggest difficulty in reducing matter to protons and electrons according to the Poincare' hypothesis, thus without the neutrino as you correctly state, was the achievement of a structure model of the neutron with spin 1/2 via the sole use of a proton and an electron each having spin 1/2. It turned out that, when the proton and the electron are abstracted to be point-like particles obeying quantum mechanics, Fermi's hypothesis of the neutrino is unavoidable. However, when the proton is represented via isomathematics and isomechanics as it is in the physical reality, that is, an extended and hyperdense particles, there is the emergence of the basically new rotation of the electron when compressed inside the proton whose sole value can be 1/2 due to constraints, thus eliminating the need for the neutrino conjecture in favor of the etherino as you correctly state and as rudimentary outlined in this Debate. THEOREM: A macroscopic non-conservative and/or time irreversible system cannot be consistently reduced to a finite number of elementary particles all in conservative quantum mechanical conditions and vice versa, a finite number of conservative, quantum mechanical particles cannot reproduce under the correspondence of other principle a macroscopic nonconservative and/or time irreversible systems. Stated in plain language, when proffered by experts without disproofs published in refereed journals, the above theorem establishes that the reduction of hadrons, nuclei and stars to point-like constituents moving in vacuum is a political scheme perpetrated for the unspoken intent of maintaining the validity of Einstein's special relativity under conditions dramatically different than those of its original conception. I denounced the deplorable state of physics in my 1984 book (in English) and its three volumes of documentation Il Grande Grido. Since that time, the condition of physics has deteriorated to such a point to constitute a real threat to issues of National Security, in view of organized oppositions against any new technology beyond Einstein, including technologies for the Detection of Concealed Nuclear Weapons, the detection of potentially devastating Antimatter Asteroids, and others.As established by the life of Galileo and of other Masters, it is written in history that basic advances in scientific knowledge must always be achieved against the organized scientific interests of the time on pre-existing doctrines. But whenever there are problems in science, there are also opportunities. In fact, I wrote several times in my works that lack of participation in fundamental advances of human knowledge is a gift of scientific priority to others. I close these comments with the indication to you, Prof. Gtd29al, as well as to all True Researchers in Einstein's words, to provide contributions on basic issues assuring your name in the brilliant side of the history of science and leave political oppositions in the dark side where they belong. Ruggero Maria Santilli - Email: research(at)thunder-energies(dot)com, November 5, 2017. Thank you Prof. Zxz10er for your question that helps to clarify a basic aspect. There is NO experimental evidence that antiparticles such as positrons are present in the problem addressed by Prof. Santilli, namely, the structure of STABLE MATTER. you are dealing with a totally different problem, that of SCATTERING of particles on matter targets in which case yes you do have positrons and other antiparticles. Zeus Son. HISTORY: Please note that the pi-zero was conceived as a bound state of an electron and a positron immediately following its discovery in the 1940s an following the detection of its decay into an electron and a positron. Sternglass important work is one of various views along these lines. TECHNICAL PROBLEMS: The rest energy of the pi-zero is about 140 times BIGGER than the sum of the rest energies of the electron and the positron under which conditions the Schroedinger equation admits no physical solution for a bound state (you have indeed solutions but for the kinetic energy of isolated particles). Additionally, nobody accepted these initial works because they reduced mesons to leptons, that is, they did not admit the birth of strong interactions. Yet, the original papers remain historically important indeed because science is a progression forward. THE SOLUTION. I believe that Prof. Santilli achieved the first quantitative representation of the structure model of the pi-zero as a generalized bound state of one electron and one positron at one Fermi mutual distance because he achieved in his very first paper  (see below) a numerically exact representation of ""ALL"" characteristics of the pi-zero, including rest energy, charge radius, mean life, spin, electric and magnetic moments, spontaneous decays and parity. Strong interactions are quantitatively represented by the deep overlapping of the wavepackets causing contact non-Hamiltonian interactions ending up, in first approximation of a highly nonlinear theory (nonlinear in the wavefunction....) with a very strong Hulten potential, intriguingly writhe only one possible energy level: the pi-zero (excited states are those of the positronium). J. V. Kadeisvili does not exist and, consequently, I cannot consider Aab11dc's Ref. . Zxw89rw. I was at MIT during Santilli's stay from 1974 to 1977, when he moved to Harvard. I remember that Santilli was friendly, respectful and very hard working. He wrote at MIT all his works on the conditions of variational selfadjointness, beginning with the above papers in field theory, and then passing to those for Newtonian mechanics. In fact, his two volumes of Foundations of Theoretical Mechanics were originally released as MIT preprints and published by Springer-Verlag only later on when he was at Harvard. Santilli was a kind of a puzzle for all of us at MIT because we could not see the physics in his huge mathematical work. It looked to me that Santilli had tno interest in pursuing a career at MIT and was solely interested in advancing his studies. I consulted him on the physical value of his work because I was expecting to vote as to whether to keep him at MIT or let him go, and he said that the conditions of variational selfadjointness were necessary to set up the rigorous foundation of the expected next covering classical and quantum theories, those based on the Lagrange and Hamilton equations with external terms. He expected the latter equations to be fundamental for the dynamics of extended particles within media, but that was way out of the physics mainstream of the time. I understood his point only later on, when he proved while being at Harvard, that Hamilton's equations with external terms for energy releasing, thus irreversible processes, have a Lie-admissible structure as a covering of the Lie structure of the conventional Hamilton equations without external terms representing reversible systems. That set the foundation of the most rigorous available covering of quantum mechanics, hadronic mechanics. Vc93uu.